TOUGH 52!!! 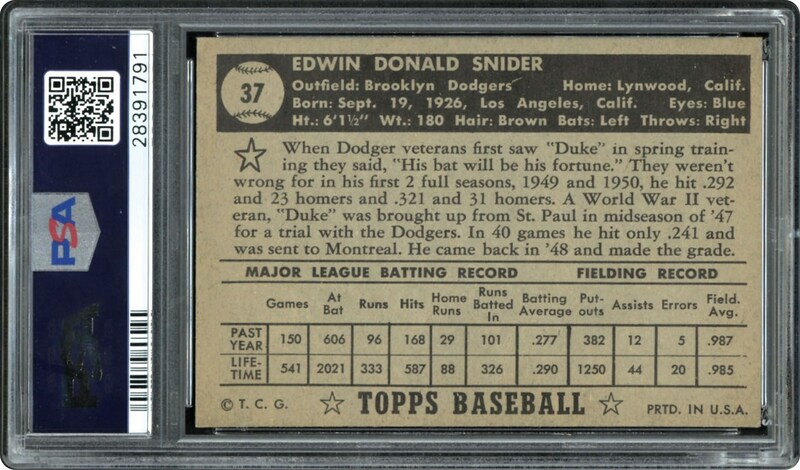 A strong low number from 1952 of Duke Snider with the Black Back. 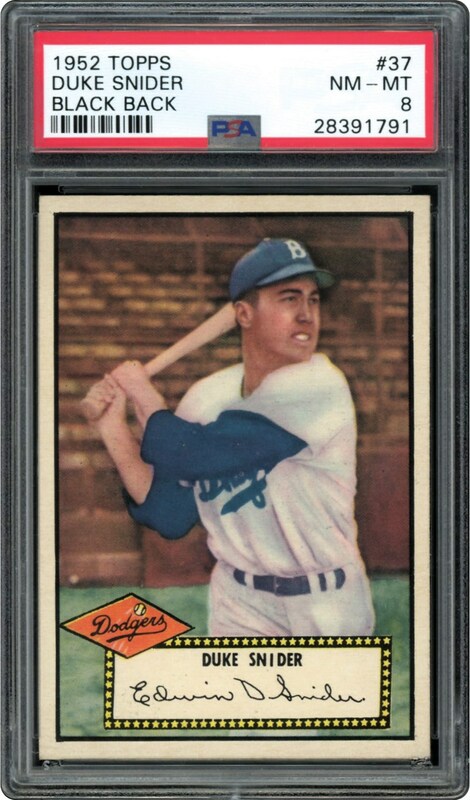 Only 5 cards grading higher than this strong PSA NM-MT 8. Vintage beauty offered here of "The Duke of Flatbush". Great eye appeal.